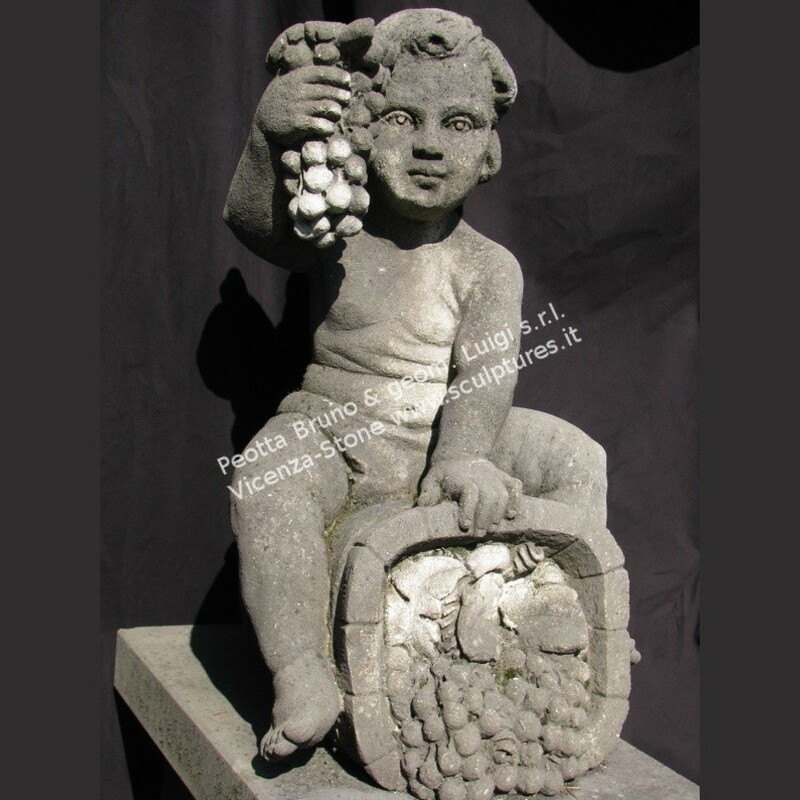 Set of Seasons cherub, italian garden Palladio style, each piece handcarved in Vicenza stone. All cherub with an elegant rectangular base. Dimensions: Height 23 1/2" x Width 12" x Deep 16"